Sahle-Work Zewde, President of Ethiopia; Abiy Ahmed, Prime Minister of Ethiopia; and Meaza Ashenafi, President of the Supreme Court of Ethiopia. To end the year on a hopeful note amid troubling news from every corner of the globe in 2018, the Caravel Editorial Board has decided to recognize those countries that have made meaningful progress toward creating more open, inclusive, forward-looking societies. In January 2018, Freedom House said that “seventy-one countries suffered net declines in political rights and civil liberties” in 2017. Their 2018 report, expected in January, will likely register continued assaults on democracy, good governance, enfranchisement, and other important metrics. That is why we seek to recognize those countries that defied political trends to champion democratic progress. This editorial board considered several countries, but we unanimously chose Ethiopia as the Caravel’s 2018 Country of the Year. Riding the wave of public support that got her elected in 2017, New Zealand’s prime minister, Jacinda Ardern, the youngest elected female head of state in modern history, enacted several important environmental regulations aimed at curbing pollution and carbon emissions. 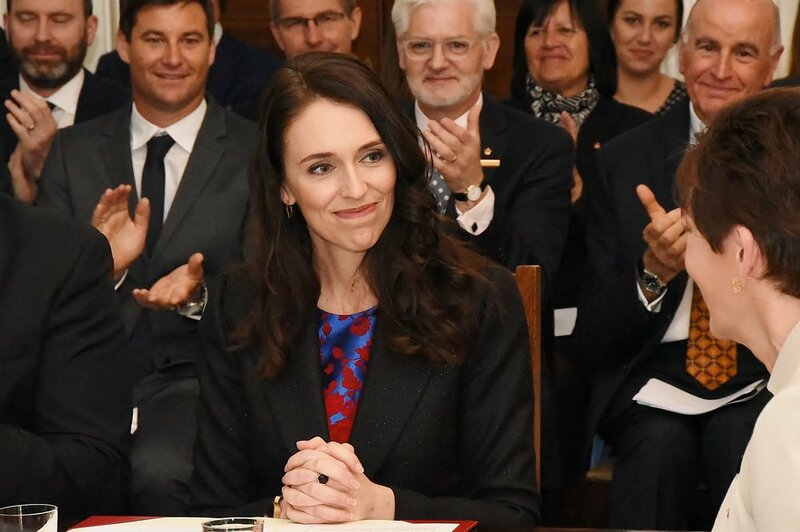 In April, Ardern announced that New Zealand would no longer issue permits for offshore oil drilling, striking a fair compromise by allowing ongoing drilling and exploration to continue. This phase-out approach came alongside the decision to end the use of disposable plastic bags and marks and important step toward preserving the region’s famous land and seascapes and reducing global carbon emissions. In June, Ardern also became just the second elected female world leader to give birth while in office, helping to destigmatize motherhood and show that it is fully compatible with political leadership. In December, lawmakers legalized medicinal marijuana and agreed to a 2020 referendum on whether to legalize cannabis for recreational use. In 2018, Ireland escaped a potentially damaging showdown with Britain over the Irish-Northern Irish border amid Brexit turmoil. The border question and the challenge it poses for balancing regional tensions, open markets, and the hard-won peace in Northern Ireland expose Brexit’s weak foundations: the lie peddled to the British people by politicians like Nigel Farage and Boris Johnson cannot stand against the complications of reality. Ireland also asked itself this year whether its long-standing commitment to Catholicism should outweigh the rights and freedoms that define a truly tolerant, secular, democratic society. In a direct challenge to their country’s deeply-rooted Catholic identity, Irish voters legalized abortion by referendum. On December 20, President Michael Higgins signed legislation that will allow women to access free, safe, and legal abortions up to 12 weeks starting January 1, 2019. Mural of Savita Halappananavar covered in “Vote Yes” stickers in Dublin, Ireland. Ultimately, the Caravel Editorial Board selected Ethiopia as our 2018 Country of the Year in recognition of its embrace of political change and greater openness, its efforts toward gender inclusivity, and its commitment to peace through diplomacy. Abiy Ahmed, Prime Minister of Ethiopia, waves at a rally. Since 2015, Ethiopian politics had grown more and more tense in response to government tactics to curb civil liberties and limit political participation. The two largest ethnic groups—the Oromo and Amhara—argued that they had been excluded politically by a ruling party dominated by the Tigray minority. In response, the government of then-Prime Minister Hailemariam Desalegn declared a state of emergency that gave it sweeping authority to ban protests and make arrests without formal court orders. The crisis came to a head in January 2018 after anti-government protests forced the ruling Ethiopian People’s Revolutionary Democratic Front (EPRDF) to implement reforms to ease social and political tension. Desalegn’s resignation in February led to the accession of Abiy Ahmed to the country’s highest political office. Ahmed is the son of an Oromo and an Amhara. As the first Oromo leader of the EPRDF, Ahmed has undertaken a number of significant, progressive reforms that have opened the political landscape in the country: setting the stage for free and fair elections, releasing political prisoners and promoting national reconciliation, ensuring a gender neutral cabinet, and establishing a peace agreement with Eritrea. Abiy Ahmed, Prime Minister of Ethiopia. Ahmed’s new government has made positive strides in its first year, opening the country’s historically restricted democracy. Throughout the year, the government released thousands of political prisoners. It lifted the long-standing state of emergency in June, returning to more measured use of government authority. It publicly announced its intention to amend the constitution to institute term limits for the prime minister. Over the summer, Parliament removed three major opposition parties from a list of designated terrorists. Together, these policies opened the political system to diverse voices while ensuring that the ruling EPRDF cannot continue to abuse its power. Cementing this new openness, Ahmed called for free and fair elections in 2020. Sahle-Work Zewde, President of Ethiopia. 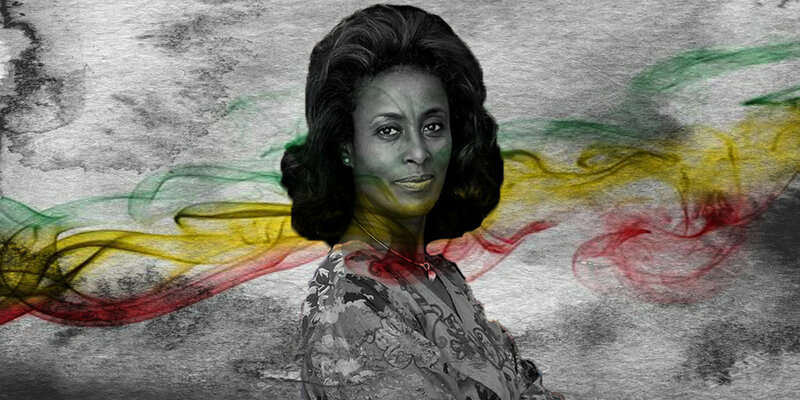 Meaza Ashenafi, President of the Supreme Court of Ethiopia. 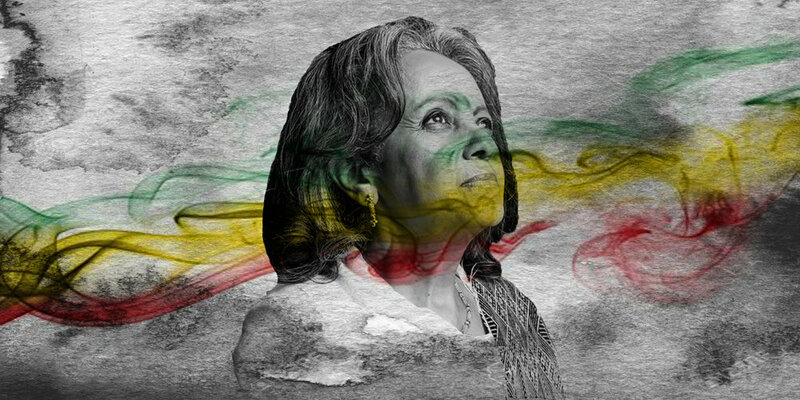 Meaza Ashenafi, described as one of Ethiopia’s “most seasoned lawyers,” brings with her an accomplished resume in promoting women’s rights and the rule of law. She served as a judge on Ethiopia’s High Court from 1989 to 1992 and then as an advisor to a commission writing Ethiopia’s new constitution. Although equal rights are enshrined in law and progress has been made in recent years toward equality, women continue to suffer discrimination, gender-based violence, and unequal access to basic educational services. Ahmed’s appointment of Ashenafi will produce a Supreme Court spearheaded by a fierce advocate for women’s rights with the experience necessary to ensure equality and justice under the law. On July 8 in Asmara, Eritrea, Ahmed made history when he embraced Eritrean President Issaias Afwerki and pledged to normalize diplomatic relations. Conflict between Ethiopia and Eritrea broke out in 1998, killing tens of thousands of people and displacing half a million more. Ceaseless fighting continued over the next two decades, with attacks and casualties occurring as recently as June 2016. Formal diplomatic relations were quickly re-established with direct contact between the two states resuming and embassies reopening. The official peace will see Ethiopia finally implementing a peace agreement signed in 2000 and will allow for the reunification of families separated by the conflict. 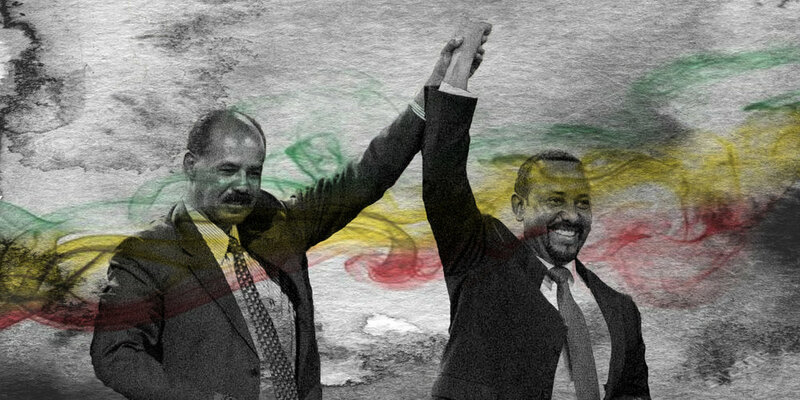 Issaias Afwerki, President of Eritrea, and Abiy Ahmed, Prime Minister of Ethiopia. Ahmed has also taken steps to liberalize the economy. In July, the government announced its intention to sell off a number of state-owned enterprises, both partially and entirely, in an effort to “unleash the potential of the private sector.” This includes telecoms, energy, and air transport. Ahmed created an advisory council in August to oversee the privatization of state-owned enterprises that will provide recommendations on best practices from around the world to accomplish this. Ahmed also appointed reform-minded executives to serve in key economic positions, including as governor of the National Bank, chief executive of Ethio Telecom, and head of the National Planning Commission. Although Ethiopia’s economic growth dipped slightly from 2017 to 2018 due to reduced government expenditures, the International Monetary Fund (IMF) projects that growth will recover to 8.5 percent as the political climate settles and investment recovers. Tight monetary policy should continue to narrow the current account deficit. The Ahmed administration is making progress in achieving an open and inclusive economy, the IMF said, citing progress in women’s inclusion. To further this economic progress, the IMF suggested that the Ethiopian government pursue its plans to develop the domestic financial system, continue privatization efforts and the removal of barriers for private investment, and close gender and ethnic barriers in education and the labor force. Despite these successes, many challenges remain for Ethiopia. The government must minimize ethnic tensions, renew its commitments to gender and ethnic inclusivity, and uphold basic human rights. We cannot know whether Ahmed’s many welcome reforms will last in Ethiopia, but this editorial board nonetheless believes that Ethiopia’s hopeful and forward-looking 2018 signals the first steps toward positive change in a country that for so long stagnated under the yoke of a politically and socially oppressive government. Ethiopia, we hope, can become a model for democracy and human rights in East Africa and a bright light in an otherwise darkening world.